New data released Friday by the federal Centers for Disease Control and Prevention underscores how vulnerable older adults are to flu and how many are being affected by the current outbreak. In the week ended Jan. 5, the rate of flu-related hospitalizations for people 65 and older was 53.4 per 100,000, more than twice that of another vulnerable group, newborns and children up to 4 years old. 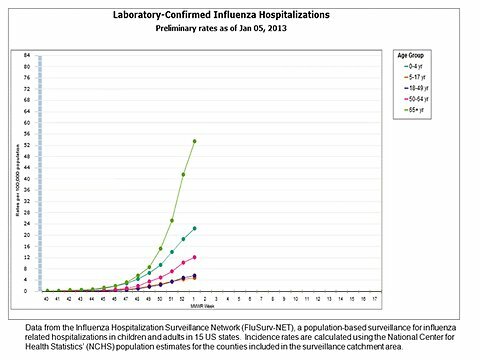 Hospitalizations are an indicator of the most serious flu cases. That’s a big jump from the week before, when the rate of flu-related hospitalizations for people 65 and older stood at 29.3 per 100,000.